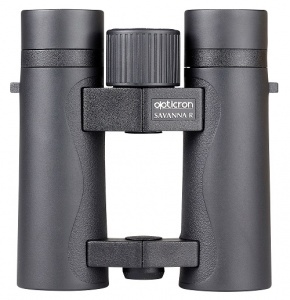 The all-new Opticron Savanna R PC 8x33 binoculars share many of the features of its sister porro prism packaged into a single axis roof prism body. Designed as a 33mm from the bottom up, the overriding feel is “slimline-compact” while the dual hinge assembly provides plenty of room for fingers of all sizes. Images are bright and clear and the optical system delivers a favourable field of view 7.0°, so locating and tracking objects is achieved with the minimum of fuss. Like their sister models, the Savanna R PC close in to just 52mm making them suitable for children age seven and over. 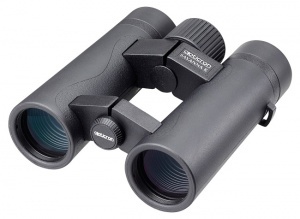 Savanna R PC 8x33 binoculars are supplied complete in a soft neoprene case with rainguard, neoprene lanyard and rubber objective lens covers.